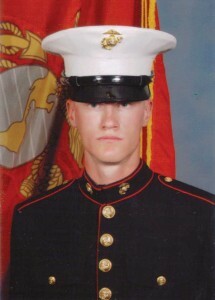 Marine Corps Cpl. Donald P. Bergman is a member of the 31st Marine Expeditionary Unit returning from a deployment of the Pacific region, including the Philippines. The Okinawa, Japan-based Marine expeditionary unit is made up of more than 2,000 Marines and sailors that conduct amphibious operations, as well as crisis response and contingency operations throughout the Pacific region. Bergman is a field radio operator assigned to the 31st Marine Expeditionary Unit at Camp Hansen, Okinawa, Japan. The corporal has served in the military for three years. He is the son of Mark and Lisa Bergman of East 120th Avenue, Sand Lake. Bergman graduated in 2007 from Creative Technologies Academy, Cedar Springs.